I learned a new quick technique from a quilting friend and I thought that I would pass it along to you! 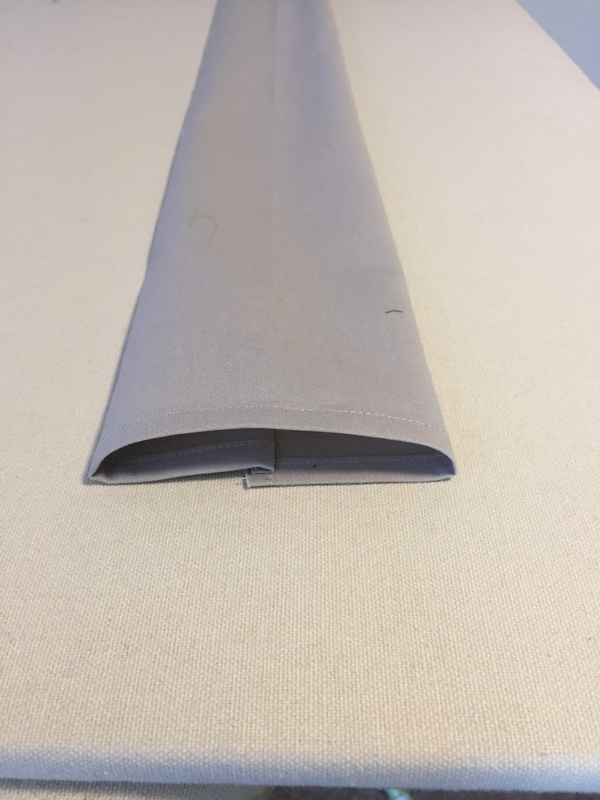 Most quilt shows call for a 4" hanging sleeve, and I've heard that some are calling for a 4-1/2" sleeve now. Wow. 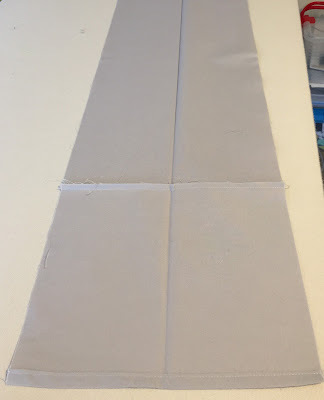 In order to make the quilt hang nicely, the sleeve needs to have more space on the outer (or back) edge and less up against the quilt itself. My friend told us to cut the sleeve at 9" wide and the length needed for your quilt. Then press this is half lengthwise. Open it back up, then press both sides to the center. 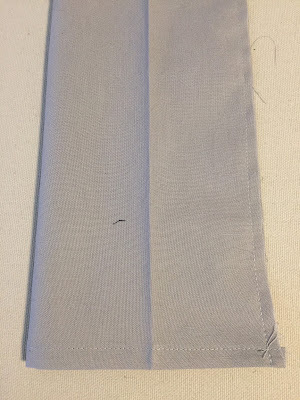 Put these two raw edges together and sew a 1/4" seam. (in the picture below, you can see that I sewed the seams on the edges first, since these are easier to sew when the sleeve is flat). 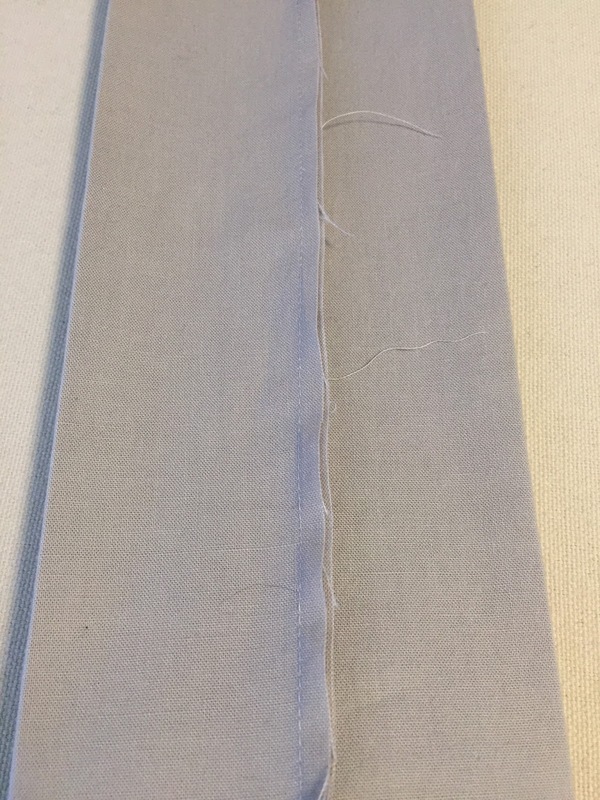 Press this seam to one side carefully, so that you keep the previously pressed edges. 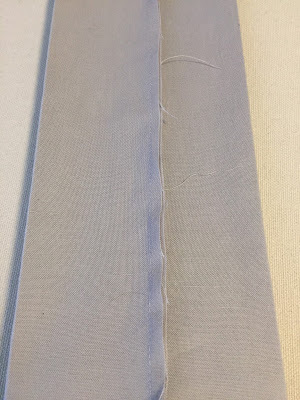 Now when you put this on the back of your quilt, you will automatically have two pressed sides to sew onto the quilt. 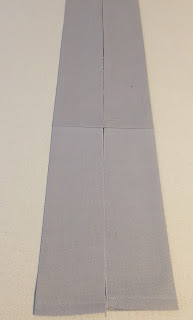 The beauty of this technique is that you will also automatically have more space left for the slat. Hope you like this technique too! That is a slick trick of putting a sleeve together!